Home / #China / #Health / #Hollywood / True News / Health: What are the risks associated with injecting of Botox,the deadliest substance known to man? Health: What are the risks associated with injecting of Botox,the deadliest substance known to man? For those fighting the losing battle against ageing, Botox injections have long been consider a risk worth taking. A multibillion dollar industry, millions of people worldwide use the drug for cosmetic purposes, and beauty salons and clinics in Hong Kong charge between HK$3,000 and HK$10,000 per treatment as the image-conscious battle wrinkles, and crow’s feet, in an attempt to maintain a youthful complexion. Celebrities from Hollywood to Bollywood have been known to use it, although few admit it publicly. Nicole Kidman did confess to trying it on her face in 2011, and said it left her unable to form any expressions. Nicole Kidman did confess to trying it on her face in 2011, and said it left her unable to form any expressions. Temporary paralysis of facial muscles is one of several side effects, but a 2006 report claimed the drug was linked to 16 deaths, and this week Hong Kong saw its first case of Botox being suspected of playing a part in a death – that of Zoe Cheung Shuk-ling. Dr Franklin Li Wang-pong, an 86-year-old plastic surgeon, was arrested over the incident, which has again raised concerns about the risks of this popular beauty treatment. 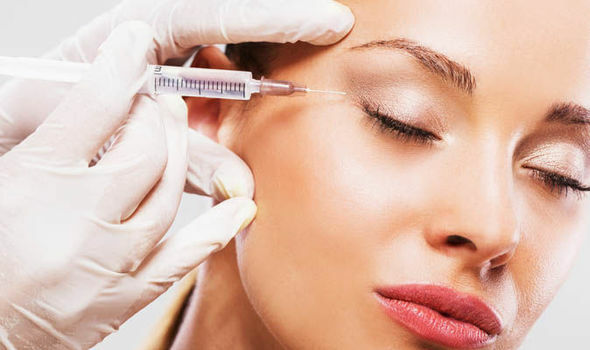 Botulinum toxin, or Botox as it is commonly known, is the most lethal substance known to man. Scientists have calculated that one gram of crystalline toxin, evenly dispersed and inhaled, could kill more than one million people. But, it is types A and B that are used commercially and medically. Injections are commonly used in cosmetic procedures to reduce the appearance of wrinkles and fine lines on the forehead, between the brows and around the eyes. It also serves other medical purposes, such as treatment of severe underarm sweating and overactive bladders. Dr Ho Chiu-ming, a specialist in plastic surgery, said the effects of an injection typically last for up to six months. According to the Department of Health, people receiving Botox injection can develop difficulty chewing, swallowing, speaking or breathing. Those problems might happen hours, days or weeks after an injection. The US Food and Drug Administration added a safety warning in 2009 that said the toxin “may spread from the area of injection to produce symptoms of botulinum toxin effect”, such as dropping of eyelids or blurred vision. Ho said if the toxin was wrongly injected to some nerves or blood vessels, other problems such as bleeding or bruising could occur. While the toxin can reduce wrinkles, he said it could also potentially limit a person’s facial expressions. Are serious side effects common? Hong Kong recorded the first suspected case of botulism, a rare but serious illness caused by botulinum toxin, in 2016. A total of 13 such cases were recorded that year. There were three such cases in 2017, and there have been at least three this year. In most of those cases, people developed symptoms such as difficulty swallowing, generalised weakness, and shortness of breath, after receiving Botox injections for cosmetic purposes either in Hong Kong, or in mainland China. They had received injections in parts of the body such as the calf muscles or face. What you should know before getting a Botox injection? Botox injections in Hong Kong should only be performed by locally registered doctors. Ho said that aside from plastic surgeons, some other doctors such as specialists in dermatology and general practitioners also offered the service. The specialist said if the injection was not performed by a medical practitioner, there could be concerns surrounding sanitation and the quality of the toxin used. Apart from choosing a suitable person to perform the procedure, health authorities said people should also have a clear understanding of the procedure, and its potential risks and complications, before receiving an injection. What regulations govern beauty treatments in Hong Kong? Hong Kong does not have specific laws regulating beauty treatments. But a fatal beauty treatment blunder in 2012, in which a woman died after receiving treatment from beauty chain DR Group, has prompted the government to look into plans of regulating the medical beauty sector. So far, the government has proposed the Private Healthcare Facilities Bill, which was passed by the Legislative Council on Thursday. The new ordinance aims to regulate four types of premises, namely hospitals, day procedure centres, clinics and health service establishments. The framework would cover the licensing scheme and regulatory requirements of those premises. Health minister Professor Sophia Chan Siu-chee said high-risk medical procedures performed there would also be regulated. A separate regulatory framework on medical devices is also expected to be submitted to Legco in this legislative session.